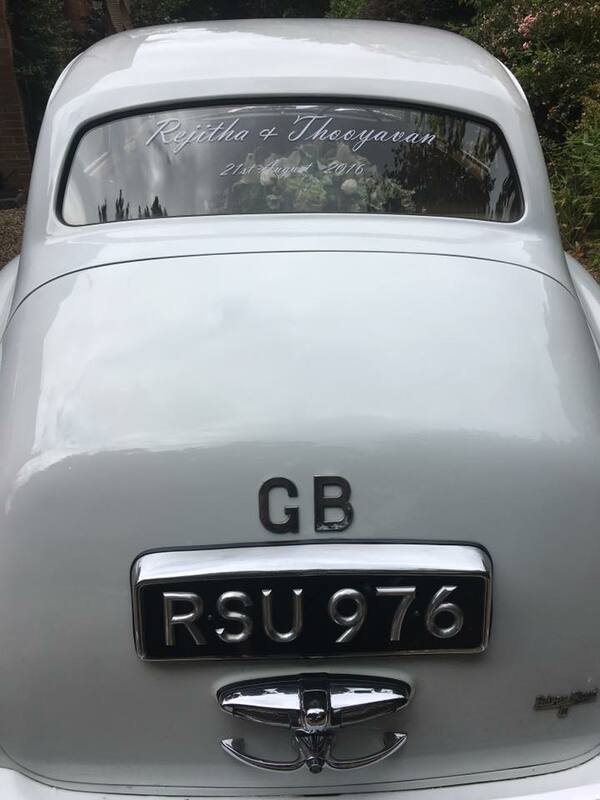 This is a beautiful, classic wedding car. 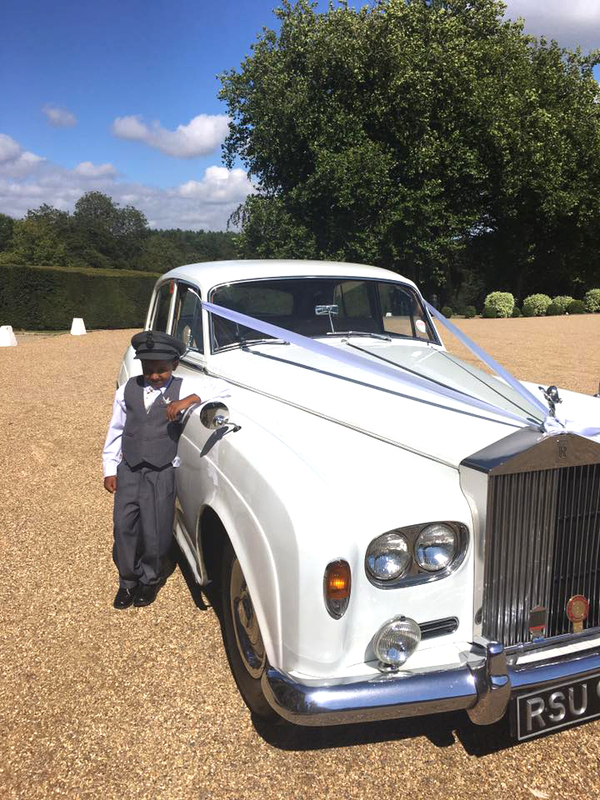 A chauffeur driven white Rolls Royce with a cream leather interior will take 4 passengers in comfort – a perfect vehicle for your wedding day. We would like to say a massive thank you for your service on our wedding day. 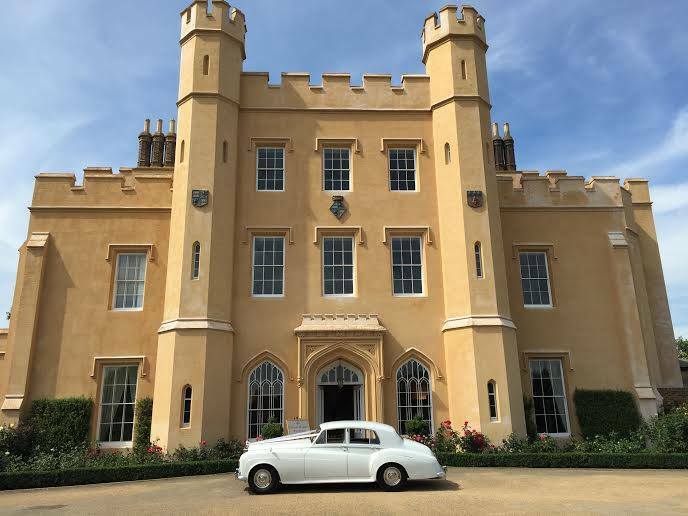 ‘Charles’ looked stunning in all the photos and many of our guests commented on how well looked after the car was. The driver was very professional but friendly and helpful too. 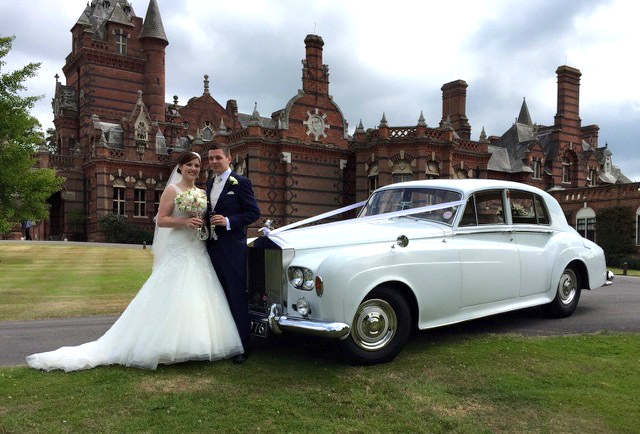 Thank you so much for the car service you provided for our wedding on the 7th August. Our driver was so lovely, friendly and very helpful. Many of our guests commented on the wonderful Charles! Thank you once again for your exceptional service! 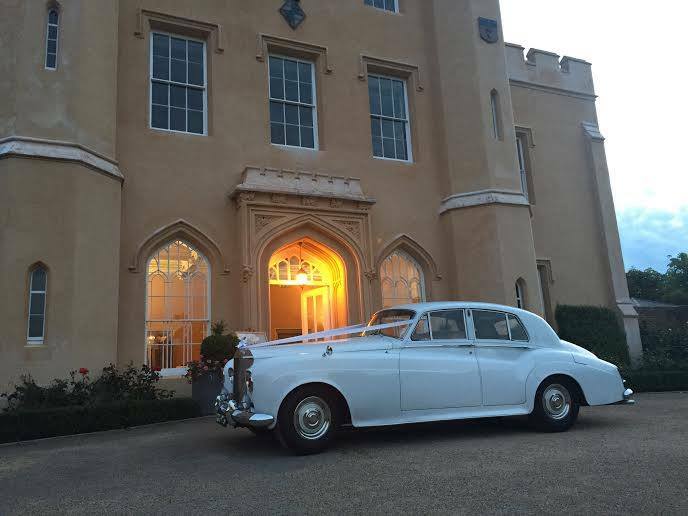 1964 Rolls-Royce Silver Cloud with white paintwork and a cream leather interior. Seats 4. 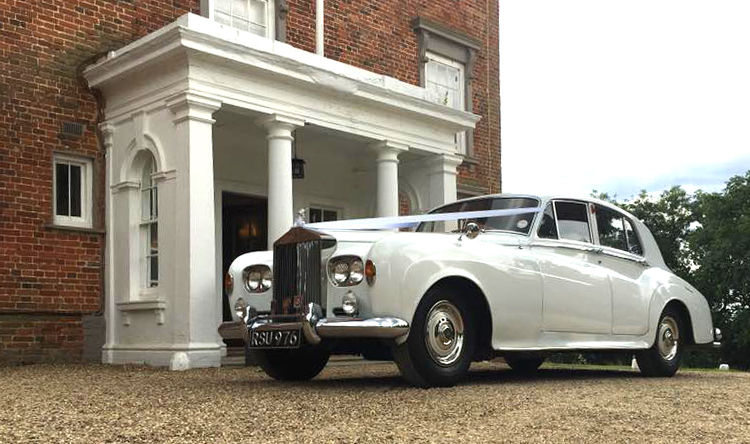 Charles is a Rolls-Royce Silver Cloud III which is an improved and updated version of the Silver Cloud II. It still has the six and a quarter litre V8 engine and was the last model Rolls-Royce produced with a separate chassis – the following model was the Silver Shadow which was of monocoque construction. 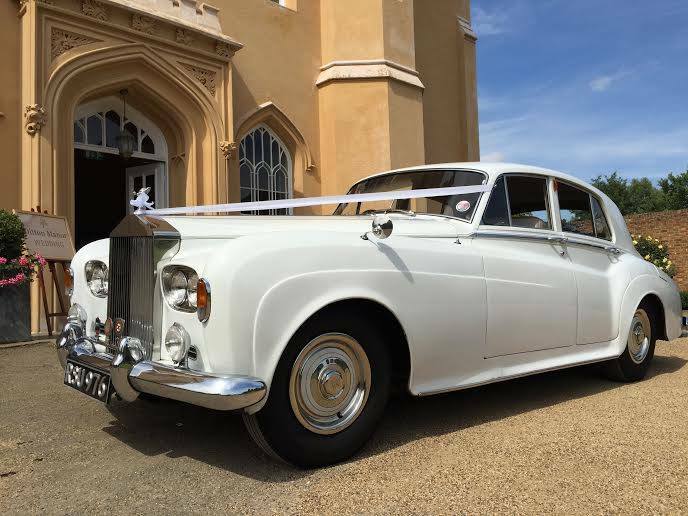 This particular example is finished in traditional wedding white with cream leather interior.